Bally Technologies are one of the world’s largest and most prestigious gambling software providers, and they’ve been around for over 50 years, with their foundation first seen back in 1968. Based in Nevada (near, of course, Las Vegas), Bally Technologies have built a solid name for themselves by creating games that are both exciting, and intuitive – and while their early success came from building slot machines for land based casinos, they were quick to adapt to the growth of online gambling, porting many of their existing titles over to Flash and HTML5, while also building new, online-only games, which could be enjoyed by players all over the world. Today, Bally Technologies is owned by SG Gaming – the same company who own brands including WMS and Barcrest, and their titles are now generally released in HTML5, which ensures players on mobile devices can enjoy the action too. In this review, we’re going to take a look at the software platform used by the game developer, along with some of their most popular games. Bally Technologies push their games in what’s known as Instant Play format; this means you can load (and play) their games directly from your Internet Browser window; there’s nothing to download or install, and the games render right there in your browser window, making the games as easy-to-play and simplistic as possible. 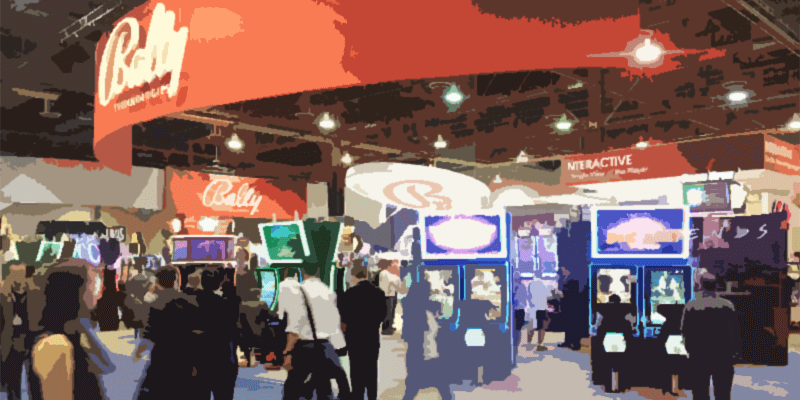 Bally Technologies – while owned by SG Gaming – still brand many of their slots under their own name, and while their selection of casino table games and video poker machines is small, their slot games are a lot more prevalent – and below, we’re going to take a look at some of what they have to offer, game-wise. Michael Jackson: King of Pop: Michael Jackson is one of the most iconic singers in history, and Bally Technologies “Michael Jackson: King of Pop” aims to pay tribute to the global pop phenomenon. Exciting bonuses, great-looking graphics, and enjoyable gameplay make the game great fun – and it’s well-worth checking out if you’ve not yet had a chance to do so! Pawn Stars: While not available to play online, Bally Technologies Pawn Stars is one of the most popular slot machines in Las Vegas, and – themed fittingly after the TV show of the same name – the game features Rick, the Old Man, and the rest of the team. You’ll work your way through exciting bonuses and features as you try to walk away with the best offer possible – and there’s massive win-potential to be found within the slot. Titanic: One of Bally Technologies most popular slots, Titanic needs little introduction… and is, of course, themed around the film of the same name. Packed full of bonuses and features, there’s 4 randomly-triggered features which can appear on any base-game spin, and if you manage to land a Ship scatter symbol on the first, third, and fifth reel, you’ll have the chance to win one of four exciting bonus rounds, which includes a free-spins feature, and a Pick ‘n Click. Vegas Hits: Vegas Hits is a slot machine that’s available both on, and offline – and it’s become one of the game developer’s most popular releases, thanks to the exciting localized progressive jackpot, which can see you walking away with wins of up to 10,000X your stake. Cupid & Psyche: Cupid & Psyche is a 5-reel, 40-payline video slot, and it’s become known as one of the game developer’s best “low-roller” slots, as it’s possible to fully-adjust the number of paylines, leading to a minimum bet of just $0.01! The game benefits from a number of bonus rounds, and as with most of Bally Technologies slots, the graphics and visuals are impressive, making for exciting gameplay. Mayan Treasure: Mayan Treasure takes you on a historic journey back to the Ancient Mayan Civilization, and as is the case with most of the games we see released from Bally Technologies, Mayan Treasure uses a combination of high-quality graphics, together with realistic audio effects to deliver – what most players consider one of their best slot machines. Grease: Another branded release, Grease is themed all around the film… Grease Lightning… and players can game alongside their favorite characters from the film, with scenes and audio clips making the gameplay ever-more realistic. While not mobile-optimized – yet – Grease is making its way to more and more casinos, and it’s likely we’ll see the developer release an HTML5 version of the slot, so that it can be played from mobile devices. Havana Cubana: Havana Cubana is a slot that’s set in Cuba – and from the moment you open the game up, you’ll find yourself immersed in a bright, vibrant, and exciting landscape, with big wins available on each and every spin! While the game is a little lacking in terms of bonuses, there is a free-spins feature, which is triggered by landing 3, 4, or 5 of the scatter symbols anywhere in view. Cash Wizard: While not one of the game developer’s most popular slot machines, Cash Wizards has begun to grow in popularity, largely thanks to the fact that it’s one of the game developer’s most recent games to be ported over to HTML5 (something Bally Technologies started back in 2014), and a large number of bonuses and features ensures that each spin carries tremendous win-potential. Rocket Returns: Rocket Returns is set in the 1980’s, using graphics and imagery reminiscent with what you’d expect to see from a video game from the time-period… and interestingly, rather than using a typical grid layout (like most video slots do), Rocket Returns places the reels in the shape of a diamond, with one symbols at the top, with the next row containing two, the following row three, and then two, and one, once more. Bally Technologies may not have a game-range as big as some of the larger-scale game developers, but they do offer as good range of variety, and you’ll find yourself able to enjoy a range of slot machines, casino table games, and video pokies. Bally – solid as a rock, but they could use a bit more imagination and inventiveness with their online games. There is no doubt that they are a leader alongside IGT in the off-line realm, but they are a bit behind a power curve of competition online.